Recently, I had another experience that showed me how blessed it is to keep my mouth shut. It happened this way. I was in conversation with someone. I talk to a number of similar people, at least several times a week. I try to be courteous and kind. Naturally! Of course! It’s simply the way that I customarily operate. But not this time. I don’t know quite what was the matter, but I must have felt out of sorts. Maybe I was tired or hungry. Or something. But for whatever reason, I had a short fuse. And I almost exploded in my acquaintance’s face while we were talking. 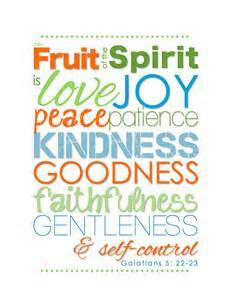 This situation reminds me of the fruit of the Spirit, from Galatians 5. I get the sneaking suspicion that I have a certain amount of most of these qualities—I have love, joy, peace, kindness, goodness. I’m pretty patient, gentle, and faithful. But the one where I consistently fall down is self-control. I do not have the best self-control in the world, especially when things can be really exciting, or fun, or good-tasting, or an awesome experience. No, my self-control does not rate very highly. I’ve known about this difficulty with self-control for years. Decades, in fact. I have prayed about it off and on ever since. I’m still waiting. But back to the story. As I mentioned, I had a conversation. I was somehow out of sorts. The other person made a comment that struck me as really silly. I was about to fire back with a sarcastic statement or cynical comment, when . . . I didn’t. Instead, I finished up the exchange with two or three more sentences and excused myself. So, I wouldn’t be further tempted to make any more snarky comments. All I can say is, I am grateful to God for helping me to shut my mouth and keep it shut, instead of “flaming” others. To change up an old children’s rhyme, “Sticks and stones may break my bones, but words can stay in my head and heart forever.” I am grateful and thankful that God helped me to stop before I said anything unwise or unkind. Words can hurt in a powerful way, and words can stay in the heart and mind for years. Thank God that I didn’t add to those mean, nasty words. Thank God that I was able to keep them to myself. So, yes. My act of service in that particular situation was keeping my mouth closed.